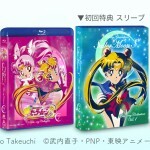 The next season of Sailor Moon will be released on Blu-Ray in Japan as Sailor Moon SuperS Part 1 and 2 are scheduled to be released. Part 1 will cost 19,800 yen, about $180 US, and be released on May 8th while Part 2 will cost 14,800 yen, about $135 US, and will be out on July 10th. These prices are probably a bit higher than what it will ultimately cost. Both sets are up for pre-order from Amazon for a bit less. There are two versions listed there, as is the case with other retailers, where the one with the vendor exclusive incentives cost significantly more. Note that these are Japanese releases with no English audio or subtitles. If the other seasons are any indicators they are of decent quality compared to the North American releases but still a software upscaled version of standard definition sources. Japan, like North America, is region A so these will play in a North American off the shelf Blu-Ray player or PlayStation system. According to the TOEI web site each of the sets includes 22 episodes which is almost certainly incorrect. 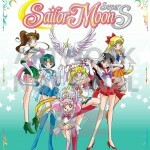 Sailor Moon SuperS is episode 128 to 166, a total of 39 episodes. The price discrepancy between the sets likely indicates that there are more episodes on volume 1 than volume 2, which has been the case with past sets. 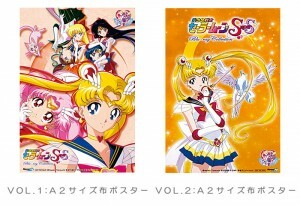 It’s likely that volume 1 includes 22 episodes, plus the Sailor Moon SuperS Special, while volume 2 includes the remaining 17 episodes. This would actually split the sets up quite well into the 22 episodes featuring the Amazon Trio and the 17 episodes featuring the Amazoness Quartet. The Amazon Japan listing states the length of volume 1 to be 573 minutes, which accounts for 22 episodes plus the hour long special, while volume 2 is stated to be 405 minutes, which would account for 17 episodes. This assumes roughly 24 minutes per episode without commercials. Other special features are sparse as always. We have the 15 second commercials for each episode as well as the lower quality (non super) creditless opening and ending credits. 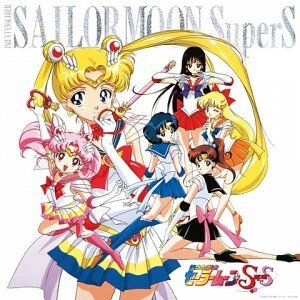 Since Sailor Moon SuperS has two ending themes one would assume that each set will have one of the end credits. As always there are a bunch of vendor exclusive incentives. These include posters, stickers and other little knick knacks. 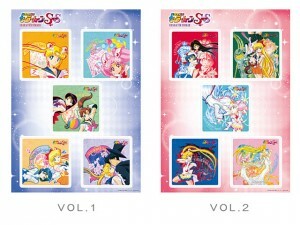 In some cases these will come with each volume but with others you have to buy each. This is an annoyance for me as I do not live in Japan and the exclusives needing both volumes aren’t shipped with either order but need to be ordered separately. There are individual images of all of the exclusives below. 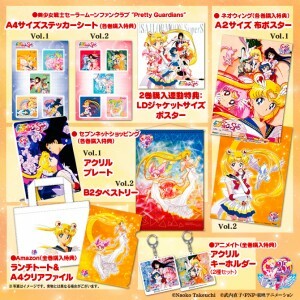 The Official Fan Club exclusive is an A4 sized (8.27″×11.7″) sticker sheet for the individual volumes as well as the laser disc box sized poster for those buying both versions. 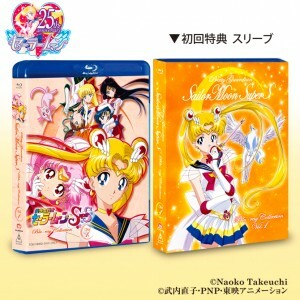 Note that this is for the Japanese Sailor Moon fan club and not the International fan club. The Seven Net exclusive for volume 1 is an acrylic plate, something which we used to refer to as pencil boards, a small hard sort of poster. 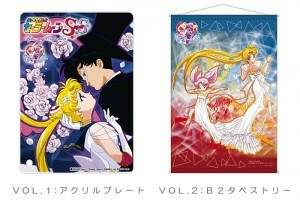 The volume 2 exclusive is a B2 sized (19.7″×27.8″) tapestry. 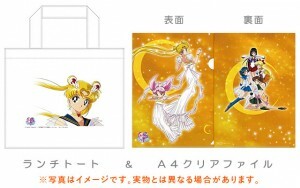 The Amazon Japan exclusive requires buying both volumes and includes a lunch tote (a small bag) and an A4 sized (8.27″x11.7″) tapestry. 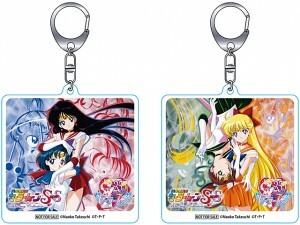 The Animate exclusive, coming with the purchase of both volumes, is an “acrylic key holder” which is a sort of laminated card which I guess you could put your keys on if you didn’t actually want to put them in your pocket. Finally the Neowing exclusive are large A2 sized (16.5″×23.4″) cloth posters. There’s one that’s included with each volume. This entry was posted in Sailor Moon Anime (1992) and tagged Blu-Ray, Sailor Moon SuperS by Adam. Bookmark the permalink. Part of me really likes this art and part of me prefers what we got. But this is so nostalgic!! 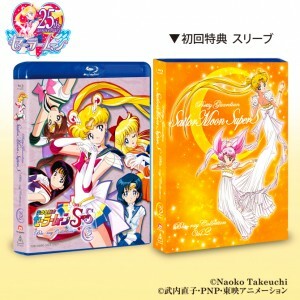 Are you going to do a product review on Sailor Moon SuperS The Movie now that it’s out on DVD and Blu-Ray? Maybe. Been busy but I’ll check it out! 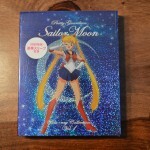 I never did get around to reviewing the Sailor Moon S movie. Poor Sailor Jupiter… That Coconut Cyclone caused serious damage, again… Someone to help her put her head and body back in position? I’d love to, my friend, but the last time I tried to help Sailor Jupiter, she INSISTED I reminded her of some guy she knew. It creeped me out. Well, I guess this means she is fine despite her weird and dangerous (for the brain…) position :D. Finally, you did right to go your way! I tried to imitate that pose of hers, and I think I threw out my neck and back. Hahaha! Also, I hope you haven’t lost yout hat in the process XD . You needn’t fear about my hat slipping off! Rumor has it that my hat is actually organically fused to my body. Or, my hat is a part of my body, and it happens to resemble a hat. Other rumors persist that I’m not wearing a hat at all, but everyone hallucinates when they see me, and they think I’m wearing a hat. Speculation is fun, but the truth is, I’ll be careful with my hat, as I do this painfully awkward pose done by Sailor Jupiter. Oh, I see! You used glue to fuse your hat to your body, just like Mr. Wormwood from Road Dahl’s “Matilda”, until it became “organically” fused for real: https:// www. youtube. com/ watch?v=WoN5cCs0l2M. You never cease to amaze me, dear Joe ! YES! If I had to either had a hat glued onto my head OR borderline force-fed chocolate cake in front of an audience, I’d definitely go with the former. Besides, I always wanted to be Danny DeVito. Oh, I see you are a man of taste! For one must be really masochistic to choose the chocolate cake option. I wish we got more news this month. So … there was a big snow storm and my satellite dish, which I use for internet access, is covered in snow for the past two weeks! I hope for you and your family that no other damage was caused by this snow storm! We, in my neck of the woods, also lost power, but it was just for a day. Huge branches broke off and fell, one of them hitting a power line. I’m fine, though. The most important is that you are fine . Are you sure, though, that the storm that hit a power line was not Sailor Jupiter’s Coconut Cyclone? I’m thinking that Jupiter may have found your place after you tried to save her from her Spiderpig pose… And, since she insisted that you reminded her of some guy she knew, I’m afraid she may be searching for you right now… Hum, I guess she likes you! The scenario of Sailor Jupiter stalking me for one reason or another is both amusing and saddening. Mostly amusing! I do like her a lot. But, darn it, give the “He reminds me of my senpai” a rest, girl! Do we think SMC Dream Arc has just been indefinitely postponed or just scrapped? Agreed- at this pace, we’re probably more realistically looking at 40th anniversary. I tell you, guys, that we are more likely to win the lottery than to ever see the rest of Sailor Moon Crystal. I fantasize so hard about winning the lottery, buying the rights from Toei, and doing it right. That’s my promise to everyone here, we should make that pact…. Would you rename the company Mattoei? Not to be confused with Mattel! Hmmm how rather than every week, how about every time the jackpot exceeds 100mill? That should be enough for rights? Read, and approved . Good for agreement! I hope the snows melted and we can get some March news. 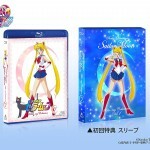 Once this Usagi birthday pass without tangible proof of these movies are worked on, I consider it canceled. That’s solid and fair- MORE than fair for toei to say something. Plot twist: We–all of us, you, me, every single person in these SailorMoonNews.com comments–are all characters in a TV show the Sailor Guardians are watching. That’s why we haven’t heard diddly squat for so long. Don’t you see? We’re not waiting for them; they’re waiting… for US. If so, they must laugh very hard in front of their TV, and take us for the fools we are. Actually, that makes me laugh too! I don’t care what anyone says, Sailor Moon Crystal Season 4 is not cancelled. I will sign an autograph, but only if she cooks a meal for me. Or gives me a bento box filled with goodies. Yes! I HUNGER! Any new info on Sailor Stars yet? I was just going to ask that.